The Oxford Community Center, Oxford Maryland at 6pm on Friday, March 16, 2018. For tickets and further information: www.chesapeakefilmfestival.com. Official selection for the Utopia Film Festival in Greenbelt, Maryland on Saturday, October 20, 2012. Screened at the Annual Meeting of the Inter-Society Color Council in Manchester, New Hampshire on Tuesday, October 16, 2012. Screened at the Leonardo Museum in Salt Lake City in conjunction with an exhibition of the artist’s work called Labyrinths of the Mind on Thursday, October 4, 2012. Screened at Black Mountain College Museum + Arts Center in Asheville, North Carolina, as part of the Women in the Arts Movie Marathon on Saturday, May 19, 2012. Support for this project has been generously provided by the following: the North Carolina Arts Council, a division of the Department of Cultural Resources; The Elizabeth Harris Gallery; The Beattie Foundation; The Mary Duke Biddle Foundation; Lark Books; and the City of Asheville Cultural Arts Division. Special thanks to Elizabeth Harris, Miles Manning, David Loncle, Robert A. Ellison Jr., Bill Page, Denise Drury and Marya Roland. Washington, DC premiere to a sold-out audience at the National Museum of Women in the Arts, as part of the official selection of films for the Environmental Film Festival on Monday, March 19, 2012. Premiered at the Utah Museum of Contemporary Art in Salt Lake City in partnership with the Utah Film Center to a sold-out audience on Friday, March 9, 2012. ARC OF LIGHT: A Portrait of Anna Campbell Bliss traces the broad spectrum of this important artist's life and work, ranging from the aesthetic influences of her early childhood and her ground-breaking career as a Harvard-trained architect to her emergence as a cutting-edge artist whose work fuses an astonishing range of elements, including architecture, mathematics, computer technology, painting, printmaking and calligraphy. 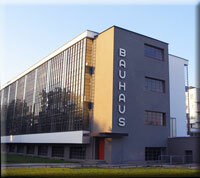 The documentary film examines the roots of Bliss's art in the Bauhaus school, which flourished in Germany in the 1920s, and how the Bauhaus artists influenced the development of Bliss's extensive contribution to American modern art. ARC OF LIGHT explores Bliss's direct connections to the Bauhaus, especially through Gyorgy Kepes, with whom she studied visual design at the Massachusetts Institute of Technology, and Josef Albers, another Bauhaus artist, who taught at the experimental Black Mountain College in North Carolina after leaving Germany in 1933. 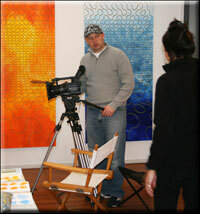 In the film, Bliss describes how Kepes inspired her interest in combining art, science and technology in her work. At MIT, where he taught, Kepes created artworks that reflected his fascination with scientific instruments, integrating images generated by devices such as x-ray machines and electron microscopes that anticipated Bliss's pioneering use of computer technology, geometry and numeric systems and foreshadowed the Digital Age. 100 anodized aluminum panels 18" x18"
The film underscores Bliss's talent for tapping the core ideas that began in the 1920s inspiring her to create important and unique works of her own, such as Windows, which can be seen at the Utah State Capitol, and Extended Vision, now a permanent installation at the Cowles Mathematics building at the University of Utah. The film also touches on the most challenging period in her life when she discovers that she is losing her sight but miraculously overcomes the condition. ARC OF LIGHT includes interviews with Anna Campbell Bliss and her husband, Robert Bliss, former dean of the Graduate School of Architecture at the University of Utah, prominent filmmaker Judith Hallet, and Stanley Hallet, a professor of architecture and the former dean of the School of Architecture at the Catholic University of America, as well as interviews with Ric Collier, former director of the Salt Lake Arts Council and many of the artist's colleagues and friends. Throughout her career as an artist, architect and designer Anna Campbell Bliss has been an exponent of Modernism, devoting her life to the creation of artwork that explores the fascinating intersections of art, science, mathematics and technology. Her work ranges from architectural assignments to painterly and digitally-based studies of color and light, and Utah-based public art commissions that tell stories of the human condition. Trained during the heady post-World War II years when progressive artists, designers and architects were decisively reshaping our everyday world, Bliss had the opportunity to study with three of the most important European émigrés who espoused the Modernist ideals advanced at the Bauhaus in Germany in the early 20th century. Bliss absorbed a Modernist approach to architecture at the Harvard Graduate School of Design, where Bauhaus architect Walter Gropius led the program. She was introduced to design and technology approaches to the use of color and light by Bauhaus photographer and designer Gygory Kepes, who founded the Center for Advanced Visual Studies at the Massachusetts Institute of Technology. And she was influenced by Bauhaus painter, designer and color theorist Josef Albers, who first taught at Black Mountain College in North Carolina and then headed the Department of Design at Yale University. 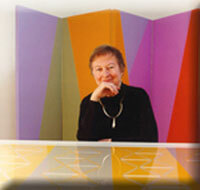 Bliss took a workshop with Albers when she was living in Minnesota in the 1960s. It was also in Minnesota where she developed an appreciation for the groundbreaking work of R. Buckminster Fuller, the American architect, designer, inventor and futurist who designed the geodesic dome. Over the course of six decades – on the East Coast, in Minnesota and in Utah – Anna Campbell Bliss forged her own path in the Modernist idiom. 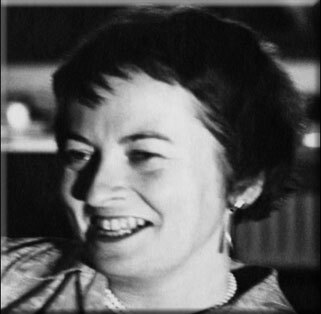 She began her career with the completion of architectural commissions in the 1950s and continued with design work for international exhibitions in the 1960s. She began producing groundbreaking color and light studies and trailblazing computer-designed digital art work in the 1970s. 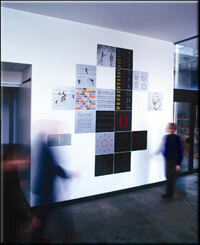 She won public art commissions in the 1980s, she created art books in the 1990s, and has continued fulfilling major site commissions in the 2000s. Bliss’s techniques and materials include photography, painting and drawing, screenprinting, monoprinting, digital printing, cast stained glass, alkyd on enameled steel, laser etching on anodized aluminum, and mixed media on paper and canvas. Immersed in the myriad facets of Modernism, the work of Anna Campbell Bliss reveals numerous sources of inspiration: Bauhaus-informed architecture and design; 20th century abstraction and constructivism; the line in 20th century Cubist and Surrealist paintings, particularly the work of Paul Klee; geometry in the design work of such ancient cultures as the Babylonians, Mayans, and Islam; the precision of mathematical equations in the Italian Renaissance art work of Leonardo da Vinci and Piero della Francesca; the color and light in 19th French Impressionist paintings and early 20th century Nabi and Fauve paintings by such artists as Claude Monet, Pierre Bonnard and Henri Matisse; and colors in the garden and how they transform in changing light. From her early use of computers for the creation of digitally-based color studies to her large site commissions for airports, universities and churches, this pioneering yet still under-recognized artist has not only fostered an awareness and appreciation for art in her home state of Utah but over the last six decades has forged a unique brand of Modernism—one that draws from the past yet embraces the future.